My Grandpa Warnick has been very busy doing a great work. He has been finding so many of our ancestors that needed to be baptized. He found about 20 names for girls and 20 names for the boys. Last Friday Jessi, my Grandma, and myself were able to attend a baptismal session at the temple that just included our family and one other person who asked if she could join our session. The Spirit was so strong in the baptismal room. It was unlike any I had felt before. I really could tell that the people I had been baptized for were so glad that their work was FINALLY done and that they joyfully accepted the covenants performed by proxy. Lately I've had a truly extraordinary opportunity to serve with the full time missionaries here because one is on a Spanish speaking mission while the other is on an English speaking mission. Going on exchanges with Elder Heywood and sitting there like a lame duck as he teaches the lessons really inspired me to try to study the gospel more which has only strengthened my testimony in the importance of missionary work, keeping the commandments, and doing temple work for those that have passed on. I am so grateful that God blessed me enough to have the marvelous, true, and everlasting Gospel that was set up by Jesus Christ during His time on Earth. These are challenging times that we live in. Times that we can often find despair. It really seems like everywhere you look Satan is winning. I, being somewhat of a pessimistic person, seem to see that even more than most and get discouraged easily. What, with Satan persuading the hearts of many to do evil and with Obama's step by step plan to implement communism in America (which is a whole other matter in and of itself), it just seems like there's absolutely no hope for righteousness to prevail. Many people say that the Gospel of Jesus Christ is one of hope. I finally realize why. In my mind, the world without the gospel is like a completely dark tunnel. But if we implement the gospel in there, there's suddenly a light at the end of the tunnel. A knowledge that good will TRIUMPH over evil in the last days. A security to know that we have a true and living prophet to guide us through the turbulent times. Not to mention the fact that we know that if we live righteously, we will be able to return to our Father in Heaven. How jubilant will we feel at that day? I have a picture in my room that shows the Nauvoo Temple amidst a violent storm. The temple is very bright and happy regardless the circumstances. It has a caption that says, "Refuge from the Storm." I take it to mean that even though the "Devil shall send forth his mighty whirlwinds," we can still find refuge in the temple (Hel. 5:12). Whenever I attend the temple, I can only feel peace and therefore happiness. The troubles of the world are swept from me when I enter into the doors of the House of the Lord. This is the work of God. I encourage all to jump on board and help out with the work. Jessi and Richard pointed this song out to me and it's just been stuck in my mind since then. I don't know exactly why I like it so much but I really do. 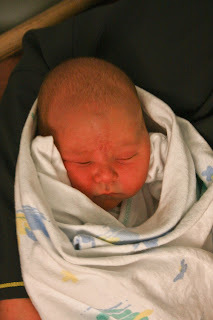 Jessi has been dying for me to put pictures of Logan up because she doesn't have enough pictures... so hopefully these will suffice until I can get more up. It has been so much fun having jessi home! It's just been awesome not being the only kid home. some crazy times have been spent with her. Aren't crazy sisters wonderful? Crazy (obviously) but wonderful! So I saw this on Jen's blog and LOVED IT! but I didn't know how to put my own faces on there so there are some random elves on here. Pretty dang cool if I might add. BYU finished off the regular season at 10-2 and having a #17 ranking in the BCS standings! They are going to play in the Las Vegas Bowl on December 22. The game will be broadcast on ESPN for all who want to watch it, beginning at 5 p.m. (PST). They play UCLA, who they lost to earlier in the season 27-17 IN Pasedena. Hopefully they'll be able to rebound from that loss and pull out a win. This will be the 2nd of 3 times that BYU and UCLA are scheduled to play in a calender year. 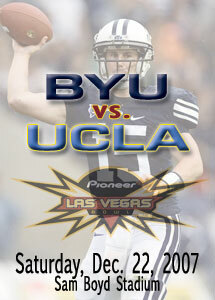 BYU will host UCLA September 6, 2008. For those who want to read the article about the byu vs. ucla game the URL is http://www.byucougars.com/Filing.jsp?ID=9989. Let's Keep This On the D.L. Well I am, as I stated in my name, a Mortenson. I am infact related to Viggo Mortensen. You might know him. He starred in Hildago and Lord of the Rings. Actually he isn't related to me, unfortunately. But he could be a distant relative. That's a cool thought.